I love it when this happens: Objects align, history reassembles itself, the light shines just right, and I've got a camera in my pocket. It happened not long ago while I was on my way to get a helping of the very best sandwich in the entire world. 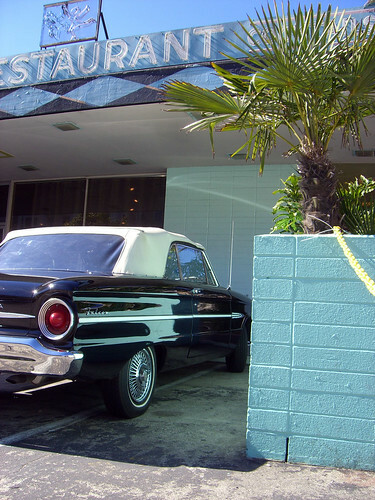 I was walking outside San Francisco's 1960s-era Phoenix Hotel, where there was a lovely Ford Falcon of similar vintage parked right out front. Then I noticed the palm tree, and the aligned masonry grid, and the aqua-colored paint, and in an instant I was transported 40 years back in time.